The 11-10 vote by the Senate Environment and Public Works Committee sends President Donald Trump's nomination of Wheeler to the full Senate. 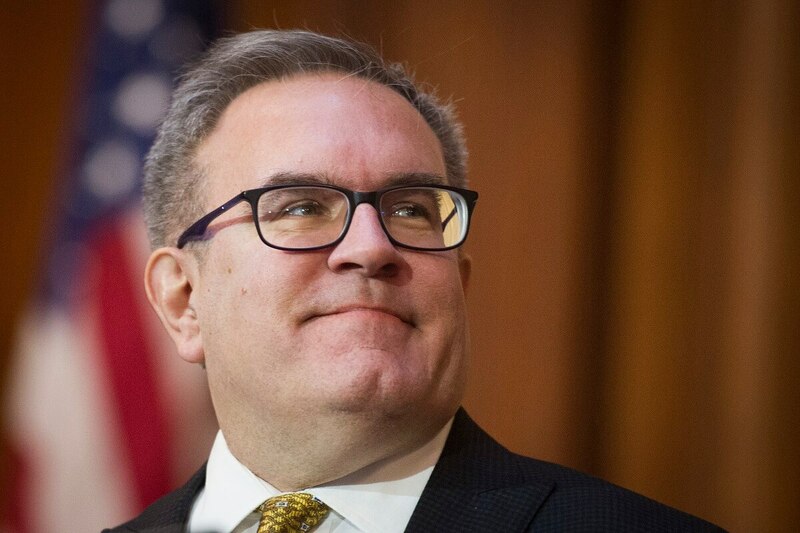 Republicans on the panel voted unanimously for Wheeler, a low-key Washington veteran who has led the EPA since Scott Pruitt resigned amid ethics allegations in July. Wheeler's tenure has been free of the kind of allegations of personal enrichment and lavish spending that drove Pruitt out. Republicans praised Wheeler for shepherding along a series of proposed environmental rollbacks, such as proposing to narrow federal protections of wetlands and waterways, since then. "Mr. Wheeler's done an outstanding job leading the EPA the last six months," said Wyoming Republican John Barrasso, the committee's chairman. But Democrats on the panel blasted Wheeler's rollbacks in unanimously voting against his nomination. Delaware Sen. Tom Carper and other Democrats pointed especially to the EPA's moves under Wheeler easing a series of environmental measures governing the coal industry, including rollbacks that coal giant Bob Murray, a former lobbying client of Wheeler, had sought from the Trump administration. As the country's top environmental regulator, Wheeler has not grasped "that saving coal is not part of that mission and not his job," said Sen. Ed Markey, a Massachusetts Democrat. Wheeler told lawmakers at earlier hearings that his work for Murray was primarily to improve job benefits for coal miners. Wheeler has said he was not closely involved in a wish list of regulatory breaks that Murray had presented to the Trump administration before Wheeler became Pruitt's deputy at the EPA. Republican Sen. Shelley Moore Capito told lawmakers at Tuesday's session that Wheeler in recent days had assured her that the EPA would "look at all available statutory authorities" to deal with a kind of toxic manmade industrial contaminant, perfluoroalkyl and polyfluoroalkyl substances, or PFAS, increasingly being found in public water supplies nationally and globally. The compounds, used in firefighting foam and in a range of consumer products to keep them stain-free and crisp, have contaminated some drinking water systems in Capito's state of West Virginia and elsewhere around the country.